Last month Telltale Games shocked the gaming world when it announced it was laying off all but 25 staff and cancelling all future projects. At first it seemed this would include the final two episodes of The Walking Dead: The Final Season, but then, ray of hope – Telltale announced “multiple potential partners” had stepped forward to help them finish Clementine’s story. Good news, right? Unfortunately, this faint silver lining quickly faded, as many questioned finishing The Final Season when Telltale’s former employees haven’t been received severance pay. Shouldn’t any extra money raised go to them? Ideally, yes, but nobody really knew anything about Telltale’s true financial/legal state or the specifics of the deals they were working on. Well, a new insider report on the situation from Kotaku probably won’t make the “severance pay first” contingent happy. Looking at the bright side, Telltale is reportedly trying to arrange to have an outside developer hire the original The Walking Dead team to finish the series on a contract basis. So, scabs won’t finish The Final Season and The Walking Dead team will probably get at least a couple extra months of paychecks. On the other hand, there’s no magical bag of cash being thrown at Telltale to do with as they please, so severance pay for most of the 250+ employees they fired remains unlikely. Of course, it’s also uncertain whether Telltale’s plan will even work. Per Kotaku, Episode 3 of The Final Season is all but done and work had started on Episode 4, but a large portion of Telltale’s employees have already been scattered to the wind. Will reassembling The Walking Dead team even be possible? Telltale has also been hit with class-action lawsuit for allegedly breaking labor laws, so yeah, there’s a very good chance this could all fall apart. I don’t think there’s anything wrong with fans wanting to see Telltale’s The Walking Dead get a proper conclusion. It isn’t an attack on Telltale employees, and now that we know a bit more about what’s happening behind the scenes, I don’t feel the “severance pay vs. finishing the game” framing of the situation is necessarily correct. I’d love for both things to happen, but it seems like only one option, finishing the game, may actually be possible. If funding is arranged and Walking Dead team members do return to wrap things up, I think it’s fair to assume they want the fans to see the story through to the end. We’ll see how things unfold. I reviewed the first two episodes of The Walking Dead: The Final Season for Wccftech – I found Episode 1 to be a gripping and emotional return to form for Telltale, and Episode 2 to be a slightly less impressive, yet still solid, middle chapter. It’s certainly a complicated situation. Where do you stand? 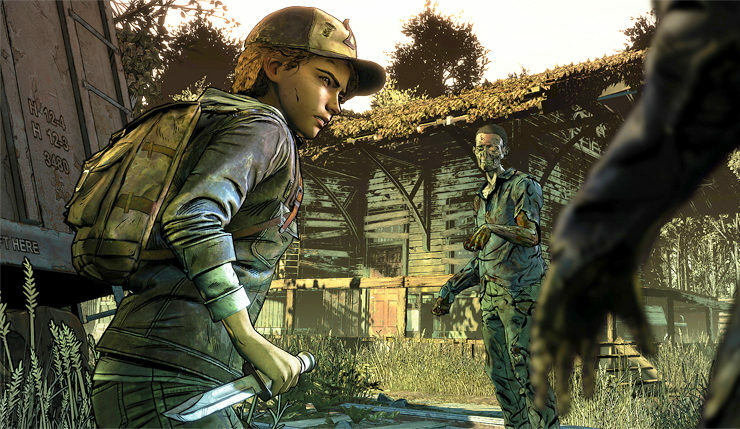 Do you want to see The Walking Dead: The Final Season properly concluded? Or has Telltale’s handling of the situation put a sour taste in your mouth?